Dr. Alex Otti was born on February 18, 1965 to the family of late Pastor and Mrs.
Lazarus Weze Otti at Umuru, Umuehim village in Ehi Na Uguru Ancient Kingdom, Isiala Ngwa South LGA of Abia State. He had his secondary school education at Ngwa High school, Aba and Secondary Technical School, Okpuala Ngwa in Abia State, where he finished as the best student in his set during the school certificate examinations. He thereafter proceeded to the University of Port Harcourt for his university education, where he graduated with a First Class honors degree in economics in 1988. While at the University of Port Harcourt, he distinguished himself by graduating not only as the Best Student of the Faculty of Social Sciences but also as the Overall Best Graduating Student for that year. At the University, Otti not only excelled academically but also proved his mettle by taking on various roles such as the position of the news editor for the school newsletter, Uniport Mirror. In addition, he was the treasurer for the University Chapter of the Nigerian Economic Students’ Association (NESA) in 1986 and subsequently became the president of the association the following year. A distinguished alumnus of the prestigious Harvard Business School, Otti has attended various international courses including the Executive Development Programmes of the Columbia Business and Stanford Business School and Wharton Business School (University of Pennsylvania). He is a Nigerian economist, banker, investor, and philanthropist. He is married and blessed with three children. 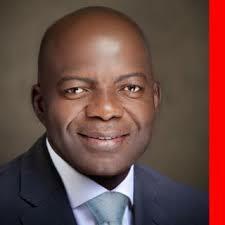 Otti is the immediate past Group Managing Director of Diamond Bank Plc. Otti began his career in banking in 1989 with the Nigerian International Bank, a subsidiary of Citibank New York, where he worked in the operations department. Thereafter he moved to the then Nigerian Intercontinental Merchant Bank Ltd. While at Intercontinental Bank, he worked both in the treasury and financial services unit as well as the corporate banking division. In 1992, he joined Societe Bancaire Nigeria Limited (Merchant Bankers), a subsidiary of Banque SBA Paris where he rose to the position of a senior manager. He moved on to the United Bank for Africa (UBA) as principal manager overseeing the bank’s corporate banking sector for the entire South Division with the responsibility of growing the oil and gas business for the bank. Due to his outstanding performance he was promoted to the position of assistant general manager in 2000. In May 2001, he joined First Bank of Nigeria, PLC as assistant general manager in May 2001 with the sole responsibility of growing the Energy Sector for the bank. In April 2004, he was promoted to the position of deputy general manager, and a year later was appointed executive director, commercial banking. This was followed by a re-designation as the executive director south directorate, where he was responsible for over 140 branches in both the South-South and South Eastern geo-political zones of the country. In March 2011, he moved from First Bank Nigeria PLC to Diamond Bank as group managing director/ Ex chief executive officer and has led the bank through a major transformation. Upon expiration of his first tenure, Diamond Bank renewed his tenure in March 2014 to an additional three years. On October 24, 2014 however, Otti voluntarily retired in other to pursue his political career and Uzoma Dozie became the new GMD and Bank CEO. Dr. Alex Otti embodies a unique story of inspiration, grit, determination, discipline and countless blessings. Especially, the power of education. It is worthy to note that Otti was the gubernatorial candidate of Abia State on the platform of All Progressives Grand Alliance (APGA) in the 2015 elections. An election that was allegedly marred by irregularities. Otti lost to Okezie Ikpeazu of the Peoples Democratic Party(PDP) and he went to the Election petition Tribunal to challenge the result of the elections. On December 31, 2015, The Court of Appeal which was sitted at Owerri removed Okezie Ikpeazu of the Peoples Democratic Party as Governor of Abia State and declared Alex Otti of the All Progressives Grand Alliance the winner of the April 11 and April 25 supplementary elections in the state.